Developers and vendors: Want a Matomo Hoodie? Add a tag to the Matomo Open Source Tag Manager and this could be yours! 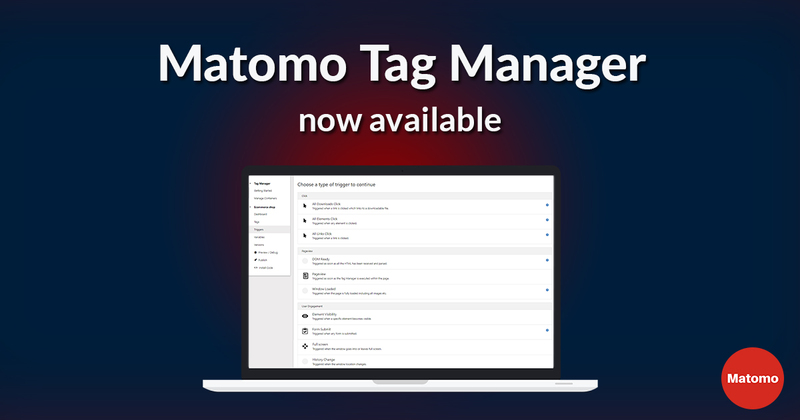 Over the last few months we have worked on building the core for the Matomo Tag Manager which comes with a great set of features and a large set of pre-configured triggers and variables. However, we currently lack tags. This is where we need your help! Together we can build a complete and industry leading open source tag manager. Tag examples include Google AdWords Conversion Tracking, Facebook Buttons, Facebook Pixels, Twitter Universal Website Tags, LinkedIn Insights. As we want to ship the Matomo Tag Manager with as many tags as possible out of the box, we appreciate any new tag additions as a pull request on https://github.com/matomo-org/tag-manager. We will send out “Matomo Contributor” stickers that cannot be purchased anywhere for every contributor who contributes a tag within the next 3 months. As for the top 3 contributors… you’ll receive a Matomo hoodie! Simply send us an email at hello@matomo.org after your tag has been merged. If needed, a draw will decide who gets the hoodies. FYI: The Matomo Tag Manager is already prepared to be handled in different contexts and we may possibly generate containers for Android and iOS. If you are keen on building the official Matomo SDKs for any of these mobile platforms, please get in touch.